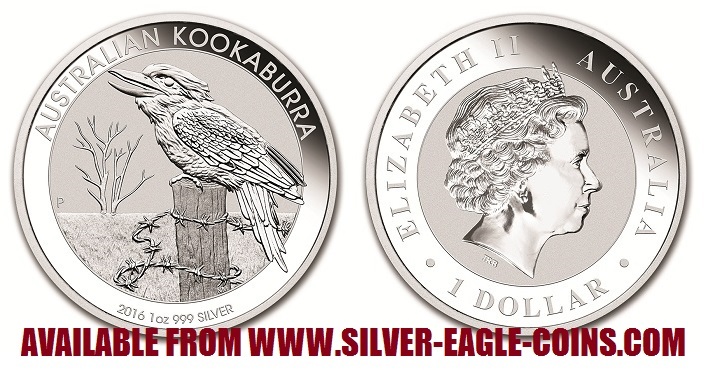 The Silver Eagle Coin Company is pleased to offer 2016 Australian Silver Kookaburra Coins. The 2016 silver kookaburra was the 27th coin issued in the popular Australian Silver Kookaburra Series and features a laughing kookaburra perched on a fence post above barbed wire. The Australian Kookaburra is the world's only silver bullion coin to change its design yearly. This design change, coupled with a very limited mintage, has made the Kookaburra one of the most popular silver bullion coins of all time.